Princess cut engagement ring named after the Scottish Wildflower Heather. 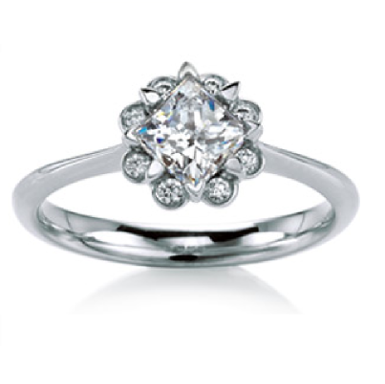 Dainty diamond petals accent the kite-set princess cut centre stone. Wedding ring: matching wedding band available with or without pavթ diamonds.